Tom Hackimer, a graduate of Archbishop Molloy H.S., Briarwood, who played his college baseball at St. John’s University, Jamaica, continues to pursue his dream of playing Major League Baseball. Hackimer, a relief pitcher, is currently playing for the Fort Myers Miracle, the Class-A Florida State League affiliate of the Minnesota Twins. In 15 games, the 24-year-old has a 2-4 record with 20 strikeouts in 23.2 innings. The New Hyde Park, L.I., native was selected by the Twins in the fourth round of the 2016 MLB draft. 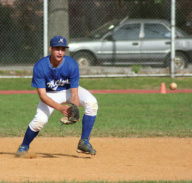 He was a 2012 Tablet All-Star as a shortstop for Molloy. Khadeen Carrington, a graduate of Bishop Loughlin H.S., Fort Greene, played for the Detroit Pistons during the NBA Summer League, which recently wrapped up in Las Vegas. The six-foot, four-inch 22-year-old shooting guard out of Seton Hall University, South Orange, N.J., appeared in four games for the Pistons, who signed Carrington as an unrestricted free agent following the NBA draft. 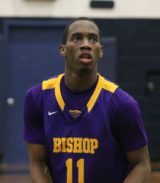 During his senior season at Bishop Loughlin, he led the local CHSAA in scoring at 24.2 pts. per game. Carrington also became the program’s all-time leading scorer with more than 2,000 pts., passing JayVaughn Pinkston who went on to play at Villanova University, Pa.